Private james Stokes V.C., K.S.L.I. 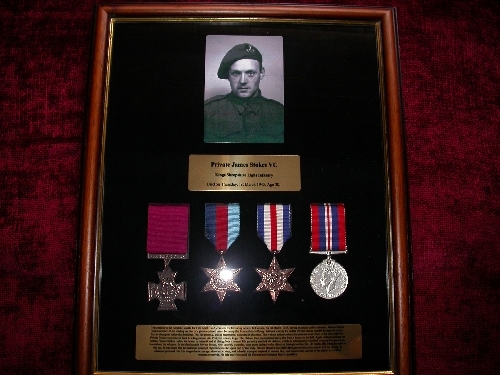 This is a replicated Victoria Cross group for Private james Stokes King's Shropshire Light Infantry for 1944. The photograph, ciation and namplate are all metal and the medals are quality plated casts having been age toned.